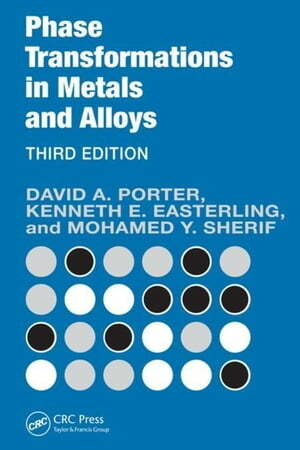 Collins Booksellers - Phase Transformations in Metals and Alloys, Third Edition (Revised Reprint) by Porter, David A., 9781439883570. Buy this book online. Adding new case studies, detailed examples, and exercises drawn from current applications, the third edition keeps the previous editions' popular easy-to -follow style and excellent mix of basic and advanced information, making it ideal for those new to the field. The book's unique presentation links basic understanding of theory with application in a gradually progressive yet exciting manner. Based on the author's teaching notes, the book takes a pedagogical approach and provides examples for applications and problems that can be readily used for exercises.